Ultra Pitch Kit for your Technics 1200 Turntable. This kit adds the 50% Pitch Range to your Technics 1200s. It is brand new, purchased it and never installed it. 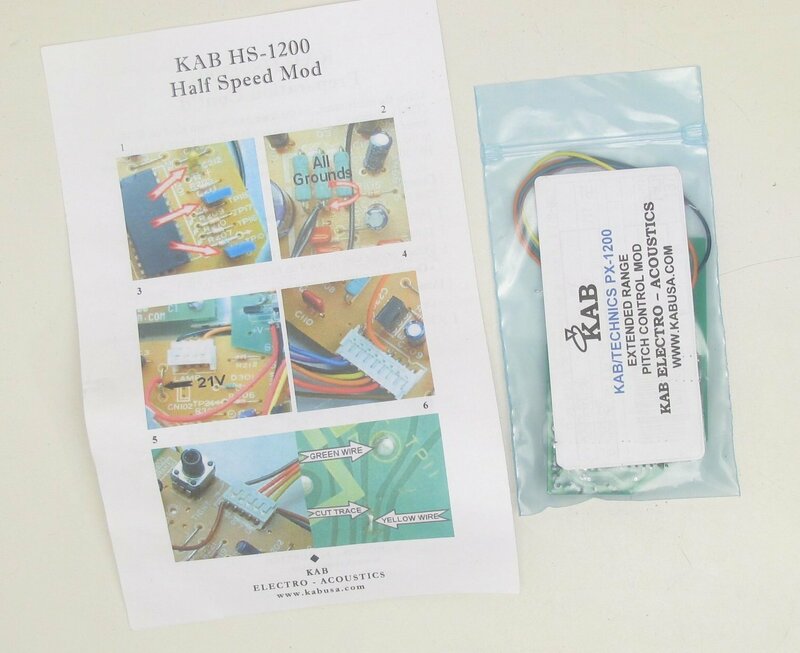 Created by the folks at KAB USA check out their website for more kits. These sell for $175.00 via the KAB website. You need to be handy with a soldering iron, it requires some capacitors to be replaced on the main board.